The Mountain is named Kolli Malai after the name of Goddess Ettukkai Amman temple. The Kolli Hills are featured in several works of classical Tamil literature such as Silappathigaram, Manimekalai, Purananuru and Ainkurnuru. Mahavidwan R. Raghava Iyengar in the research monograph Araichi Katturaigal has given exhaustive references to Kolli Pavai from early Sangam literature, concluding that the image is in Kolli Hills. The region was ruled by Valvil Ori around 200 A.D., who is praised as one of the seven great philanthropists of ancient Tamil Nadu. His valor and marksmanship are sung by several poets, and his exploits are a popular part of folklore. Ori is said to have killed a lion, bear, deer and a boar with a single arrow. The hills are said to be guarded by Kollipavai also called as “Ettukkai Amman”, the local deity. 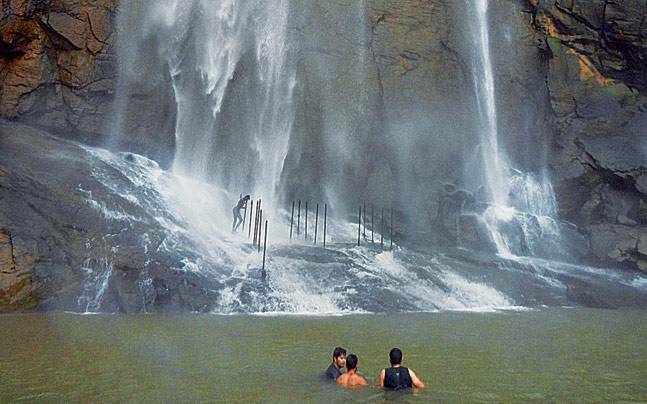 According to legend, the sages chose Kolli hills when they were looking for a peaceful place to do their penance. However, the demons invaded the hills to disrupt the penance when the sages began their rituals. The sages prayed to Kollipavai, who according to the myth, chased away the demons with her enchanting smile. The KolliPavai hills is still worshipped by the people here and her smile is revered. The mountains have several mythological legends associated with them, and often come across as an eerie place in contemporary tales due to the unexplored and less traveled terrain. even at some places one can hear the presence of saptha kannigal. This mountain is full of herbs which retains health and vigour.